Apex Legends may be the first surprise hit of 2019, and that’s thanks in no small part to the quality experience that Respawn Entertainment has delivered. It’s not often that a free-to-play game feels big budget, or that a multiplayer game of any kind can launch without an assortment of server issues and game-breaking bugs. That Apex Legends was able to show up the way it did, and — at least for the moment — divert some attention away from Fortnite? There’s no other word to describe it but impressive. We have to admit, it’s satisfying to see Respawn finally get its due for creating a fun-to-play shooter. And it’s downright comical how far the studio is going to keep EA from being a part of the story. 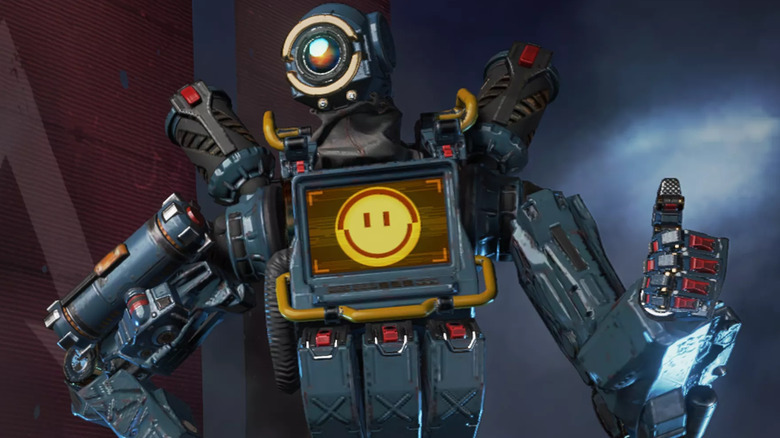 It’s clear that Respawn is broadcasting a message to pretty much everyone who might think about playing Apex Legends: if you aren’t a fan of EA, don’t worry. They had nothing to do with this. And believe it or not, this isn’t the first time McCoy has been open — perhaps, too open — about the way the EA brand might adversely affect Respawn’s game. When Apex Legends first launched last week, many wondered why Respawn would opt for a stealth development cycle and a same-day announcement and release. McCoy, who serves as the game’s producer, was more than happy to provide an eyebrow-raising answer for that. Basically, Respawn felt that the gaming community at large would find reasons to dislike Apex Legends if the game was announced early. And a large part of that would simply be because of the studio’s affiliation with EA. So for those of you keeping score at home, that’s now two subtle digs at EA. One admitting that EA’s history with loot boxes has been problematic, and players might be highly skeptical of future games from the publisher. And another assuring everyone that, seriously, EA didn’t get its grubby little mitts anywhere near this title. That strategy appears to have paid off thus far. Apex Legends has been wildly successful since it shadow-dropped into an unsuspecting world last week, hosting over 10 million players in its first three days. And so far, the game has shown no signs of tapering off. At this moment, it’s still the most popular game on Twitch, with over 366,000 viewers watching their favorite streamers play. And that’s thanks in large part to big names like Ninja, Shroud, and Dr. DisRespect devoting time to Respawn’s new shooter. It’s a little too early to call Apex Legends a Fortnite killer just yet. But so far, the numbers are looking very, very promising. If you have yet to give Apex Legends a go, there’s no better time than right now. The game is a breath of fresh air as far as battle royale games are concerned, fusing the stellar shooting mechanics of Respawn’s Titanfall titles with the character abilities found in hero shooters like Overwatch. And the squad-based gameplay, which forces you into a three-player team, makes you seriously think about the character you’re going to choose. Add that to the other features Respawn has included — respawn beacons (of course) and the groundbreaking Ping system — and you have a game that is doing new things in order to stand out in a very crowded field. Apex Legends isn’t just trying to hang with the likes of Fortnite, PlayerUnknown’s Battlegrounds, and Call of Duty‘s Blackout mode. It wants to offer something you’re not getting anywhere else.